Apple is now routinely updating its mapping database on a daily basis with user corrections submitted through the native Maps applications for iOS and OS X, it has been discovered. Apple Maps POIs appear to be updated every day at 3 a.m., user "heyyoudvd" disclosed in a thread on Reddit. That person has been actively tracking Apple's progress with its Maps application, and they believe they have seen more updates to the mapping data in recent weeks than in the previous two years combined. "Over the past month, Maps were being updated once a week (every Friday) for me, but now, that has improved even further," they wrote. "Over the past few days, I've noticed an update occur every single day at 3 a.m. Eastern." For years, reporting problems in Apple's Maps application did not result in swift changes to the company's data. But now that appears to have changed, and significantly, with infrastructure in place to push out updates on a daily basis. Those posting in the Reddit thread noted that they are seeing points of interest fixed in a prompt fashion, while various side roads and other small changes have been implemented. These changes appear to be going into place worldwide, with one user noting that they marked issues on beaches in Sydney, and the problems were addressed accordingly. 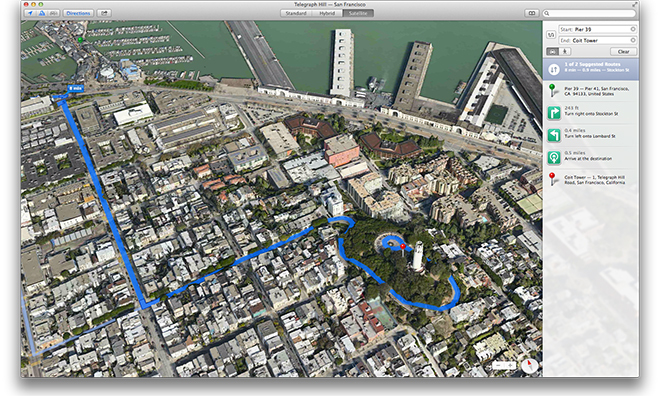 Apple Maps as seen in OS X Mavericks. 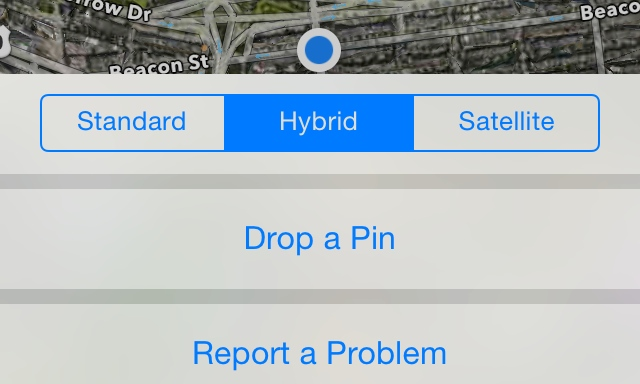 Users can report issues with Apple's Maps application on an iOS device by tapping the "i" button in the bottom right corner and selecting "Report a Problem." From there, users can notify Apple about incorrect search results, inaccurate street names, missing locations, problems with directions, and more. Mapping issues can also be reported in OS X by selecting the main Maps menu from the Menu Bar and choosing "Report a Problem." The feature has been available since Apple brought Maps to Mavericks last year, extending tools for reporting and fixing errors to a large installed base of Mac users. Apple's iOS Maps debuted in September of 2012 along with iOS 6, and immediately drew criticism and complaints from many users, who found inaccuracies in the location data and faulty rendering of the 3D flyover data. The ensuing controversy was so widespread that Apple Chief Executive Tim Cook was compelled to issue an apology to his customers, and even recommend alternative options. Since then, Apple has acquired a number of mapping companies, including Embark, HopStop, Broadmap, Locationary, and earlier this month, Spotsetter. Despite those acquisitions, Apple Maps continue to lack built-in public transit directions, including the current beta of iOS 8. One report from this month claimed that a lack of updates for Maps in iOS 8 were as a result of a "failure" of the project management team.